Despite the fact that it’s getting warmer, I accidently managed to buy not one but 2 pairs of boots a couple of weeks ago. BOOTS! Boots I tell you! (pictures of said boots to follow). A word of warning, never buy 2 pairs of boots right before going to an art gallery. I had to drag both pairs of boots (ok, only one of the pairs… Olly took the other pair, and it was the heavier pair! Such a good egg…) around the Yohji Yamamoto exhibition at the V&A. Having a heavy bag cutting into your hand can mar your enjoyment of art somewhat. It also mars the enjoyment of having hands. Although a glass of wine and some amazing olives & feta does make it better again (Friday Lates at the V&A = awesome). But boots can only take you so far at this time of year, and we’re hurtling toward summer (hmm, perhaps ‘hurtle’ might be a bit optimistic… I wish we’d hurtle a bit bloody faster…) meaning they’re going to be archived before long, so maybe I should start sprucing up the wardrobe in anticipation of a sun ray or 2? Now, like every other girl under 5ft 6 (I’m 5ft 5 1/2.. arg so close!) I love a platform. It’s the only way to gain a few extra inches without losing the feeling in your legs. 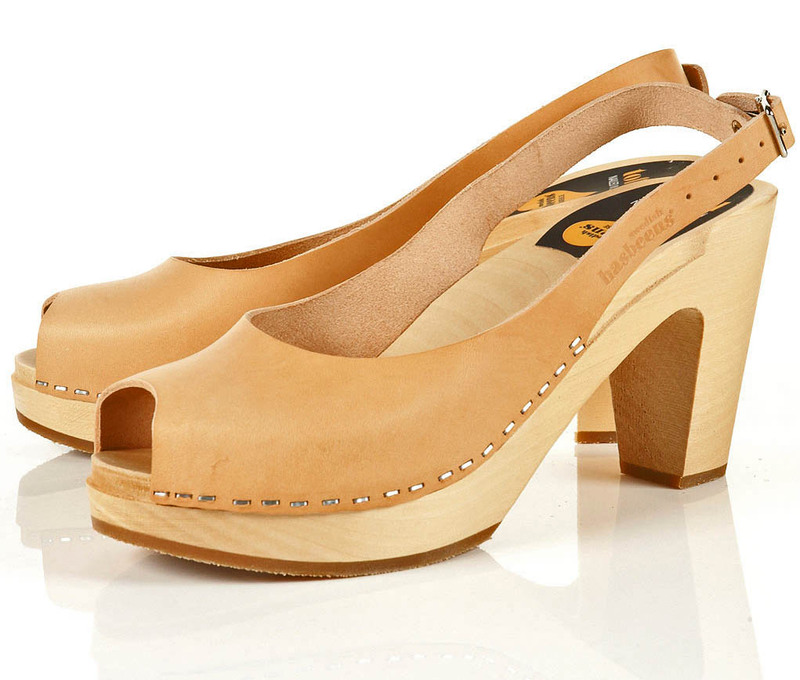 These sandal from French Connection boast a 1 inch sole as well as an added 2 inches on the heel (5ft 8!!!). And these simple caramel leather straps can’t fail to suit everyone. Now I don’t remember falling and hitting my head anywhere, but I must have, because for some strange reason I have a faddy crush on these. The staple detail might be one step too far in the faux ‘simplicity’ stakes, but the 2 inch heel and the really plain but clunky upper make them appear very wearable. I might even be able to walk in them! 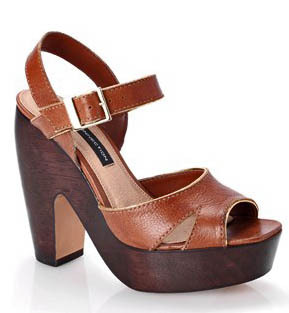 The last pair of platforms that I’m currently eyeing up are these wedges from Ash. The combination of studs together with thick leather straps make them look like they could be both sturdy and comfortable… although I’m sure the 5 inch heel would prove otherwise. And unfortunately for me, all of the above pairs are all over £100 which means I might have to wait a bit longer before I have another splurge. Maybe I should save some money by cutting back on olives?! I am in love with those wedges!!! 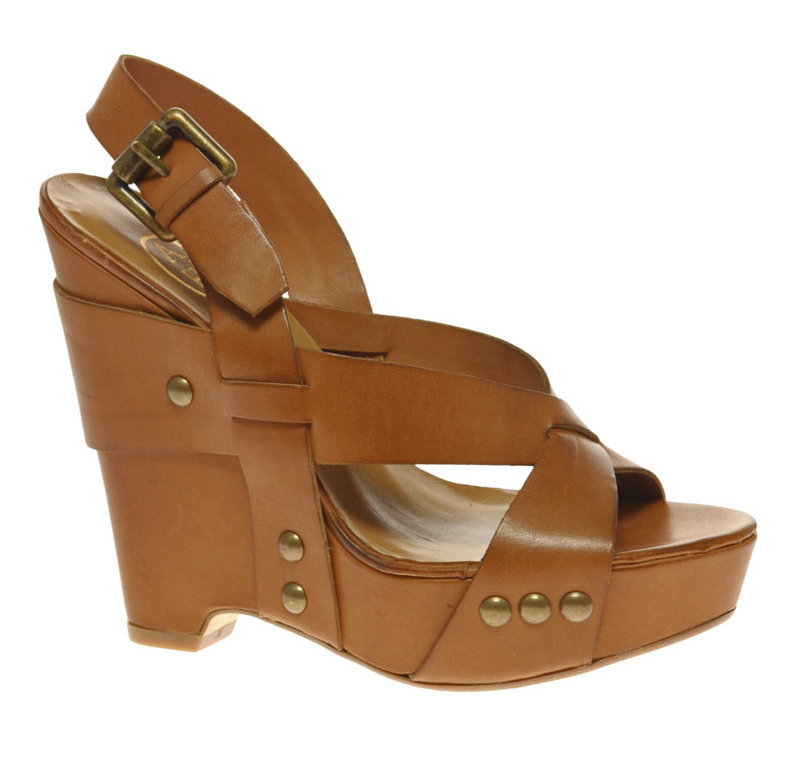 I was in ALDO yesterday coveting a stunning pair of wedges, i might just go back and get them….